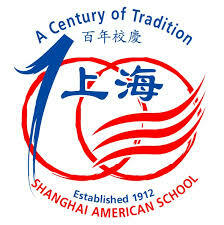 Established in 1912, Shanghai American School (SAS) is an independent, non-profit and non-sectarian school offering an exemplary core American education program for expatriate students from Pre-Kindergarten to Grade 12. The school is located on two purpose-built campuses – one on the west side of Shanghai (Puxi) and the other on the east side of Shanghai (Pudong). Shanghai American School is China’s largest international school with over 2,600 students from almost 40 countries. Course Specialties: IB, AP, ESL. Submit a completed and signed Application Form by fax (86) 21-6221-2060 or email to admissions@saschina.org. Submit payment of a non-refundable application fee made directly to the Finance Office. While this does not guarantee enrollment, if a student is accepted, it will be applied toward school fees. • Records of any special needs testing (if applicable). • A photocopy of the student’s passport. School fees are due twice a year, half on or before June 1 and half on or before December 1. Concordia International School Shanghai offers an outstanding, college-preparatory American-based curriculum education in a Christian context. The school thrives on its culturally diverse, international community from pre-school (3-4 years old) through high school. Accredited by the Western Association of Schools and Colleges (WASC), Concordia is a sister school to the renowned Hong Kong International School. Concordia is recognized for its dedication to academic excellence, and for its vigorous activity programs in sports, the arts and cultural learning. In addition, state-of-the-art technology is highly integrated into the learning process. All these are provided in a nurturing, educational community, which values parental participation and is anchored in Christian values. The School is conveniently located in the heart of residential Jinqiao, Pudong. In August 2005, Concordia opened its Phase II development for middle school. The brand new facility marks continued growth on 10-acre campus. Course Specialties: American Curriculum, AP, ESL, Mandarin, Spanish, Fine Arts. 1. Print the application checklist for your reference. 2. Completely fill out the application form. The application form can be printed and filled out for submission, or it can be completed and submitted on-line. 4. Send all of these materials, along with the application fee** via courier to us. • Upon submission of the completed application form and the application fee, the application will be assigned an application date, which we use to manage the waiting lists. • At waitlisted levels, the application date becomes important only after applicants have been formally accepted. • The admissions review process to determine acceptance starts only upon receipt of all supporting materials. Shanghai Livingston American School is a private, co-educational, pre-kindergarten through twelfth grade international school. The curriculum and instructional practices are modeled on the California School System. Staffed with experienced and accredited teachers, it is currently the only international school in Shanghai following the American system. With the exception of foreign language study, all classes are conducted in English. The campus is situated in a prestigious section of Shanghai, inhabited mostly by expatriate families. In the next five years, LAS will have three campuses inside city limits and one in the suburbs. Additionally, in the near future there will be an LAS campus at each of the five U.S. consulate locations throughout China. In constructing the new campus, LAS placed top priority on the health and safety of LAS students. 1. Fill out the application form and health form completely. 2. Payment of a non-refundable application fee. If a student is accepted or not accepted, the application fee will not be refunded because it is part of the admissions process. 3. Academic records of the last completed school year and up-to-date records for work completed in the current school year for grades 2-12 in English: Records in other languages will not be accepted. It is the responsibility of the applicant’s parents to have records translated into English. 4. Recent standardized test scores, if available. 5. Records of any special needs testing (if applicable). 6. A photocopy of the student’s passport. 7. One recent passport-sized photo. 8. For seat guarantee holders: copy of company letter, seat guarantee certificate and parent’s work permit. 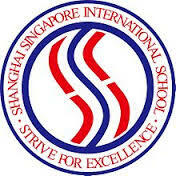 Do the International Schools in Shanghai Offer Good Quality for Expats Kids?